This week's Torah portion, Vayeishiv, includes the passage, "And Yaakov settled in the land where his father dwelled" (Bereishis/Genesis 37:1). 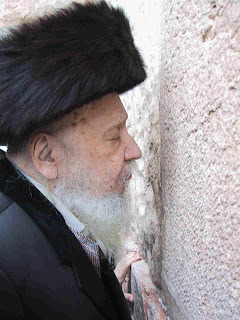 The Noam Elimelech zt"l, the holy Reb Elimelech of Lizhensk, the author of one of the greatest Chasidic works, connects this passage to the verse in Tehillim (Psalms), "May there be peace in Your chambers, serenity in your palaces." In showing the connection between these two verses, the Noam Elimelech addresses the innate task of the human being, an why we are given the specific role that we are given in creation. To explain this, the Rebbe Reb Meilech brings the teaching of the Gemara that since the beginning of creation, there was not one who called G-d "Adon", or Master. The first being to do so was Avraham Avinu, Abraham our father, who began to address G-d as Adon, teaching us that we must strive to unify the Divine Name of Hashem, the four letter sacred name of G-d, which is read the same way as Adon'ai (My Master). The Zohar (central work of kaballah) further teaches that whenever we read the sacred Name of G-d as Adon'ai, we should meditate on unifying both names of G-d that are pronounced in that way. When this is done, the task is completed as is stated in Shacharis (the morning service), "El Adon al kol hama'asim," that Hashem is the Master over all creation. The name El implies mercy, as it says in Tehillim (Psalms), "The mercy of El exists all day long." Therefore, when we unify the Divine Name of G-d, we succeed in drawing down mercy into the world, which is "El" (the awakening of kindness in the world), and G-d becomes "Adon al kol hama'asim", master over all creations. This unification of G-d's name, and the resulting Mastership of G-d, is the meaning of the verse in Chavakuk (Habakkuk 2:20), "Hashem is in His holy place; all the earth is quiet in His presence." The name Adon'ai, as it is the means of pronunciation for the sacred Name of G-d (which is not spelled Adon'ai), is called the "heichal" (entry hall) to the Divine Name. So, when the unification is brought into the "palace" (Sacred Name) by means of the "entry hall" (contemplating the word Adon'ai), "all the earth is quiet," as kindness and tranquility are released into creation. This is the deeper teaching of the verse in Bereishis (Genesis 2:5), "There was no man to work the ground." The word for ground, "adamah", is also used in the phrase in the Torah, "adamah Elyon," meaning, "I shall liken myself to the Exalted One." Therefore, man should always strive to compare the creation (adamah) to the Creator (Elyon), drawing the lower world to unity with the upper world. This is the reason for the creation of Adam, the first creature to begin the process of unifying the worlds. This beginning process is alluded to in the kaballistic introduction to the creation of Adam, stating that "a mist ("ad" in Hebrew, the first two letters of Adon'ai) rose from the ground." From Adam until Avraham Avinu, no person called G-d "Adon", Master. Because of Avraham's great love and intellectual service, he was able to truly call G-d Master. According to the Noam Elimelech, this is done primarily through intellect, and the contemplation on the greatness of creation and the loftiness of G-d. After this meditation, awe and fear will naturally develop due to the intensity of the true expansion of Hashem's presence in creation. The Noam Elimelech says that this is the ideal manner in which we should serve G-d, as mitzvos (commandments) are also directed at this process. If this is the case, then why do we need to do the mitzvos at all? Shouldn't we achieve our avodah (holy work) through the better process of meditation, and not through the physical tasks associated with mitzvos? To answer this question, the Noam Elimelech notes that we are, through the process of creation, (either seemingly or literally) compartmentalized into bodies, with each fleck of our souls having greater intensity around the physical bodies that we inhabit. If we were to simply meditate on G-d and the greatness of creation at all times, without interruption, our physical existence would be nullified due to the overwhelming majesty of G-d. This would not allow us to continue to live and awaken the sparks of Divinity scattered throughout creation for us to find. Therefore, we were given mitzvos, commandments to connect us to our physical body and to less-obviously lofty parts of creation. 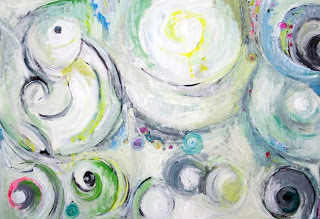 However, so that we would not be connected to physicality simply to be connected, each mitzvah was connected intrinsically to a piece of creation where we are to awaken sparks of the Divine (ex. 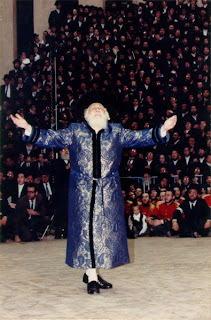 special restrictions of shechita, or kosher slaughter for animals), which give us the connection to physicality and G-d at the same time, a state of being called "deveikus", or "cleaving." This is the meaning of the verse first addressed in the opening, "And Yaakov settled in the land where his father dwelled." The root of the Hebrew word for "dwelled" (megurei) is also found in the verse in Bamidbar (Numbers 22:3), "Vayigar Mo'av...And Moav was afraid." Therefore, the verse can be read, "And Yaakov feared G-d at His true level of majesty." This is spoken about Yaakov in reference to the land of Canaan, which represents the physical world and body, and shows that Yaakov was able to remain in the correct level of fear because he was able to remain in his physical body to do his task of deveikus. Therefore, the verse in Tehillim says, "May there be peace in your chambers, serenity in your palaces." The word for peace, "shalom", is the same as the word "shaleim", which means "complete" or "unified". Similarly, the word for "your chambers" (chayil) is the same as the word for the Divine legions in the upper world. Also, the word for "palaces" in the second half of the verse refers to the physical body, with which one uses to serve G-d through the physical commandments. This presents the deeper meaning of the verse, reading, "May the upper worlds (which is essentially the Divine Name) be unified, bringing about serenity in the physical world." May we all achieve the ability to meditate on creation and the mitzvos done through physical creation, so that "with our own bodies we see G-d," and remain balanced so that our deveikus may last from now until eternity, umein v'umein. I didn't see a email linked back to your blog so I'm thanking you this way. Your comments are always welcome. I found out how to fix that, and so now there is a way to find my email on my profile.